1. SAP PP Master Data: Master data often remains static for an organization and, it slightly gets changed until new customers linked with the firm or the old clients leave the company. 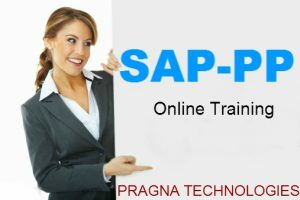 There are 5 master data maintained in a Production Planning branch of the accounts’ software the SAP ERP. Material Master: The material master holds the details on all the materials that it produces, stores as well as sells. We always give a unique identity to a material for its entry into a database. We group together the similar materials. Copper-based raw materials and finished products are generally kept under the same category. Advantages of Material Master: The Material Master is valuable for purchase and movement of raw materials within a company. It is, too, necessary for goods in inventory management and issuance of an invoice besides receipt of materials, invoice verification, and sales &amp; distribution plus planning of production to confirm deals. BOM (Bill of Material): A bill of material is a list of the items needed for production or assemblage of products. The BOMs are useful for deciding the cost of the products. For a single product, you can make 99 alternative BOMs. You can create Super BOM for the products that have their numerous variants. The product Car contains all types of bodies with specific size & color, and the desired model, based on its color and size, is selected from the sales order. Work Center: A work center generally includes all groups of machines and tools that linked to the production of a company.These groups that involved in task list operations, known as routing. It contains informational data for scheduling, capacity, and costing. Routing: It is a list of operations that performed at the Work Center. It describes the machine time, labor time, and production detail. It is helpful for completing different operations in production and cost estimation of the products. 2.Production Version: Production Version is the grouping of Routing Data and BOM. It determines the successful production of an organization. There are numerous production versions depending on different manufacturing processes to make products. 3.Planning: The planning of production is often estimated on the sales plan to meet the sale requirements in an organization while considering the budget that allocated to it. The demand management enters the demand for product and material requirement. 4.Execution: After completion of production, confirmation of orders is executed for proper delivery. The orders changed into Delivered (DLV) position. Make for Stock: Production of the products that do not contain sale order. The stock is developed independently of sale orders. Make for Order: The products are developed according to their sales orders. 6.Material Requirement Planning: MRP determines production planning and inventory control. It fetches data from production schedules to determine timely purchasing and delivery schedules while supporting manufacturing process in an organization through considering BOM or bill of materials. 7.Capacity Planning and Leveling: Capacity Planning is required to deal with capacity overloads at the work center of an organization and to shift the orders to avoid blockage. Capacity at each work center in a firm can be leveled through the planning table to assist smooth production. The workloads are distributed equally among all the work centers in a factory positively. 8.Production order: Production orders are developed from planned orders, the output of MRP. It is required for ensuring in what quantity to produce the products. It also assures missing components in goods through checkups. Production Order Confirmation and Production Order Close are its next phases If the confirmation posted incorrectly, then its cancellation is required, and it is reposted again with right data. Production Order Close deals with deletion of all data when the Production Order gets right delivery finally.After the delivery, we’ve no need to execute the order again and all information linked to it is deleted from the sub-module.